Our blog, “On Clipper Cove”, is about kids smiles, volunteer hours and Bay events in and around Treasure Island Sailing Center here on Clipper Cove. From time to time we venture away from the Cove, even off the Bay. How easy to forget what makes Clipper Cove ITSELF so special. Actually, unique is a better adjective. 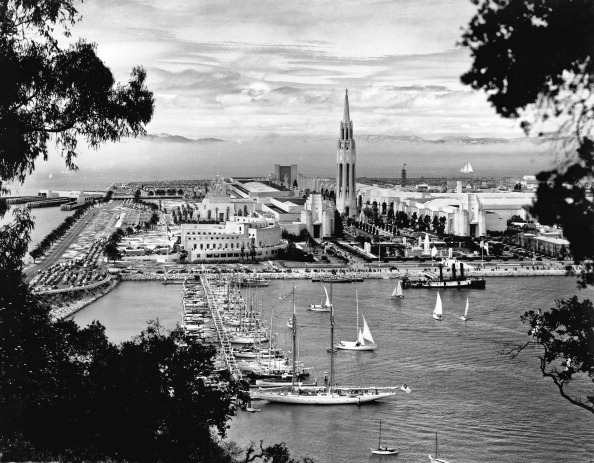 Clipper Cove, named after the Pan American “clipper ships” (amphibious airplanes, not the sailing vessels that rounded Cape Horn), was formed when Treasure Island was built for the World’s Fair in 1939. 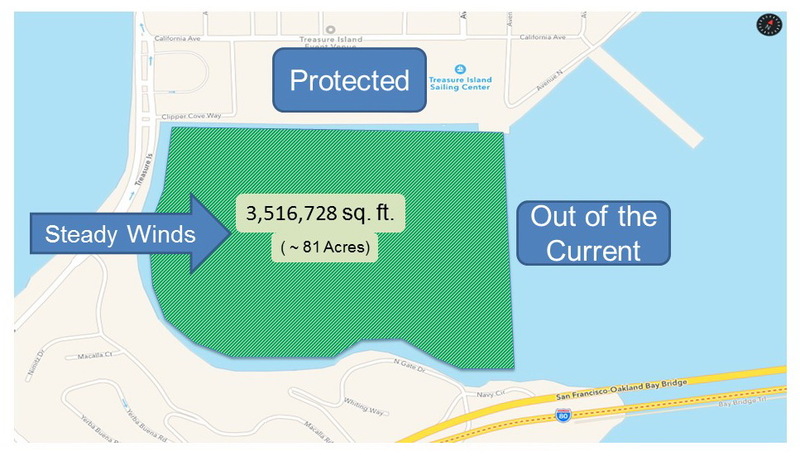 The Cove features a safe protected harbor with relatively calm water and minimal current. Winds from the west flow without obstruction under the Golden Gate Bridge, past San Francisco then over the causeway onto Clipper Cove. Commercial traffic, generally minor, passes east of the Pier 1 well outside the Cove. No mystery why Clipper Cove is often referred to as the “Unique Gem of San Francisco Bay”. It’s the perfect place for beginners to learn about kayaking, stand-up paddle boarding and of course sailing because of its steady winds, protected shoreline and absence of current and commercial traffic. It’s also the perfect venue for hands-on (the bay) student access. Over the last five years adult and family use has grown over ten fold. Here’s a chart from 1915. 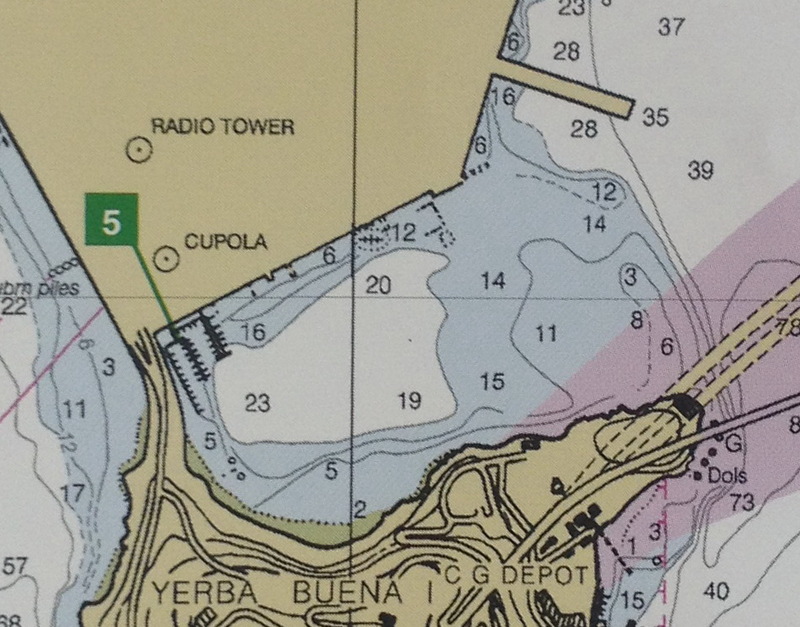 You can see the shoals jutting northward from Goat Island (yes, they did graze goats there) into SF Bay. Treasure Island was created in this shallow water. Here’s a photo taken from the Bay Bridge during the 1939 worlds fair. You can see the circular administration building – still in use today – at the north end of the pier. One look at Clipper Cove today, nestled between Treasure Island and Yerba Buena Island, unveils the many technical features that make it unique. Land-locked on three sides, open to the wind from the west, much shallower than the water to the east. These characteristics add up to safe boating on calm waters with no current and consistent winds. WARNING: The charts contained in this document are for historical reference and general interest only. THESE CHARTS ARE NOT TO BE USED FOR NAVIGATION. San Francisco is known for some of the best sailing in the world. Summer winds are strong and predictable because they’re driven by the high pressure out in the Pacific that stays with us from April through October. The sun heats up the Central Valley and wind is drawn from the Pacific Ocean across SF Bay. Fog is created by the warm wind flowing over the cool waters from the Pacific Ocean. Just like when your kids breathe into your refrigerator. The Bay features strong currents because of the massive amounts of water that flow in or out through “the Gate” with the tides four times each day. 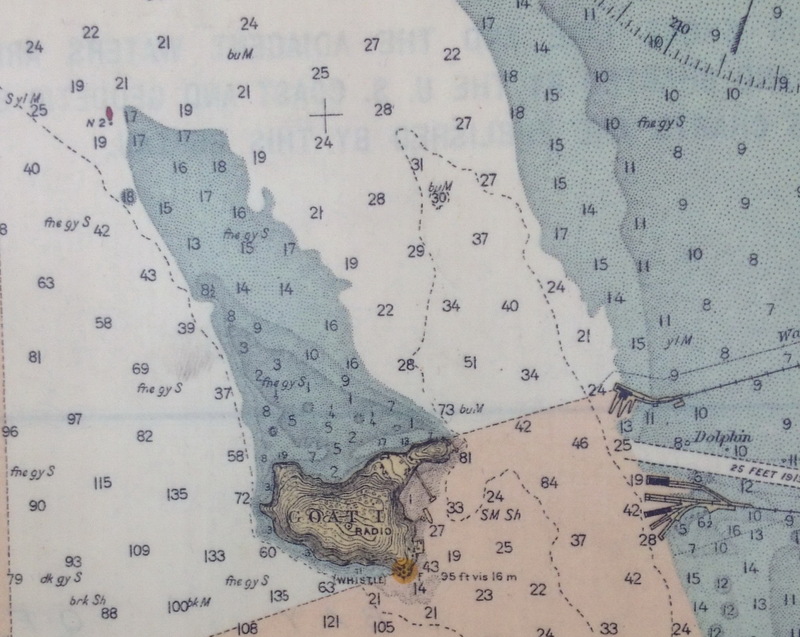 While challenging to all and manageable by experienced sailors, these currents must be heeded at all times whether racing or just cruising about. 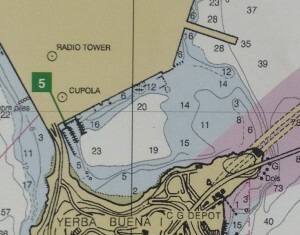 The current in Clipper Cove is minor because water in the cove is shallow while the currents flow much faster in the deep water to the east – notice the 28′ to 39′ depths shown in white on the chart above just SE of Pier 1. Over time Clipper Cove has silted in. 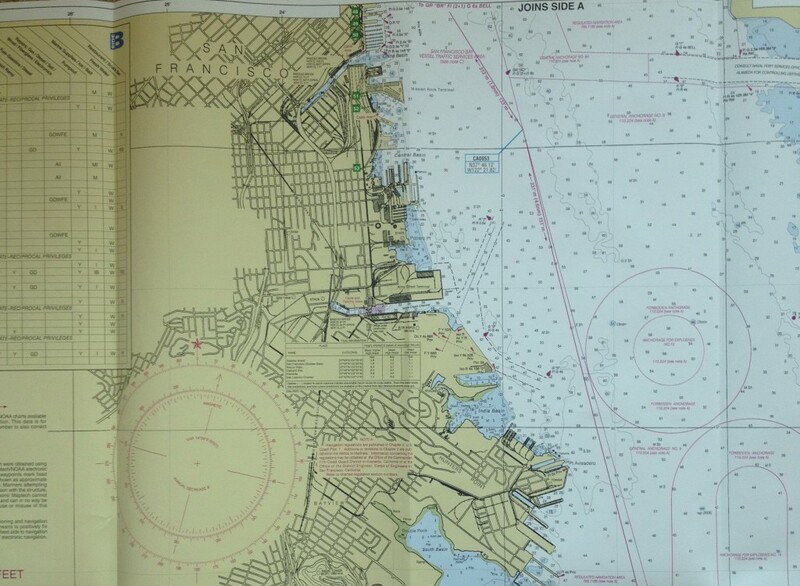 Here is the most recent USCG Chart from Dec., 2013. You can clearly see “sand bar” across the mouth of the cove and the depth reduction from over 20′ to 15′ and under in the center. 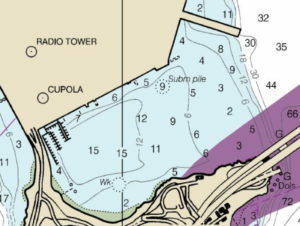 This 2016 color chart shows the large shallow “sand bar” at the entrance of the Cove dropping off to the the deep-water channel under Pier 1. 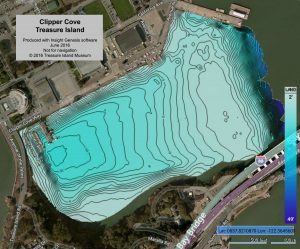 Note the further “shrinking” of the deep water in the center of Clipper Cove (Chart courtesy of The Treasure Island Museum – check out their website for additional Treasure Island Treasures and Photographs). While San Francisco’s 8 miles of shoreline offer spectacular “photo opps”, public access points for boating – whether hand-launched kayaks or much large craft – are extremely limited. There are two very good reasons why kayaks, paddle boards or small sailboats are rarely seen on the bay – strong currents and active commercial traffic. Winds along the “city front” are strong which favor experienced sailors. And make for great racing venues adjacent to St. Francis Yacht Club and the Golden Gate Yacht Club. 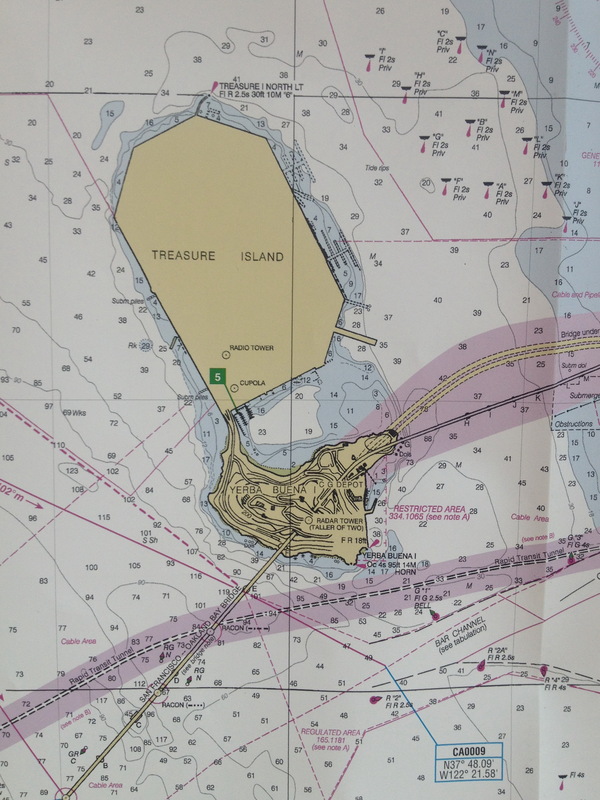 This area, shown below, is another challenging area for beginners because of high winds and major currents. Winds in South Bay are lighter and extremely variable because of the variable flow patterns caused by the wind-blocking buildings to the west. 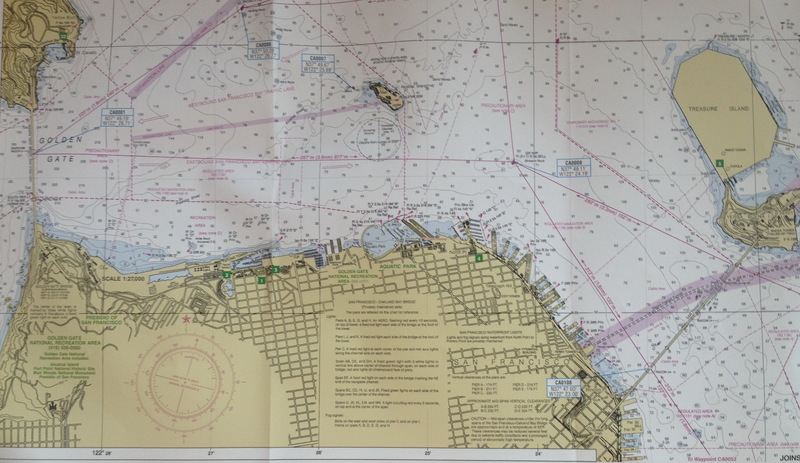 Moving away from the shore out into the shipping channels provides further opportunities for racers from South Beach Yacht Club, although this area is not good sailing for beginners because of fluky winds, high currents and commercial traffic. 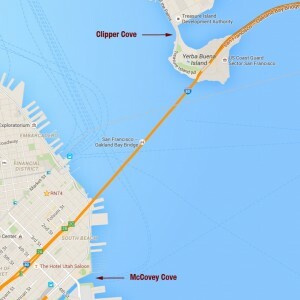 McCovey Cove can be seen as the first small “harbor” just to the right of “FRANCISCO” in the chart below. It’s hard to judge sizes based on looking at charts. 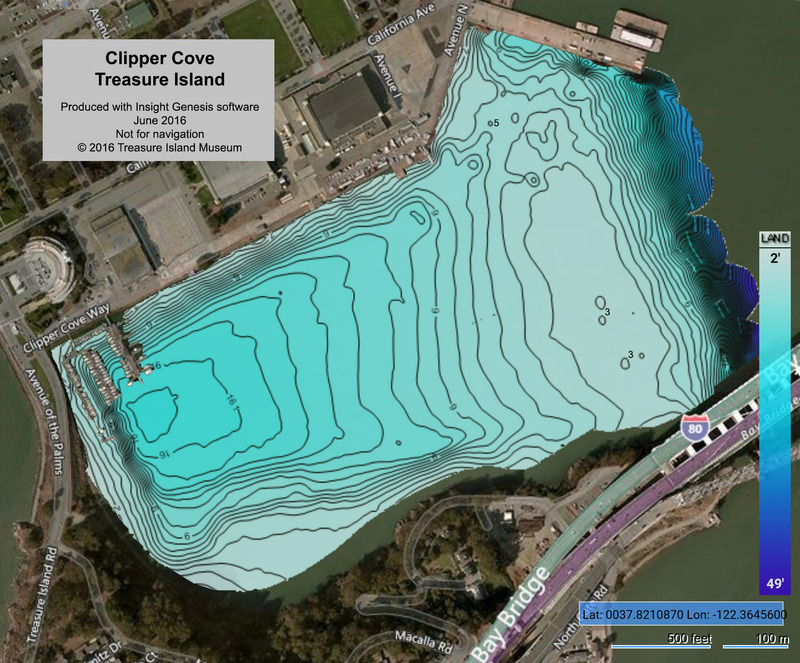 Here’s a chart view that provides a good comparison between Clipper Cove (approximately 81 acres in size) and the much smaller McCovey Cove (1/10th the size of Clipper Cove, and roughly the same size as the existing TI Marina, home to 106 boats, of which 90% are between 16′ and 30′ in length). 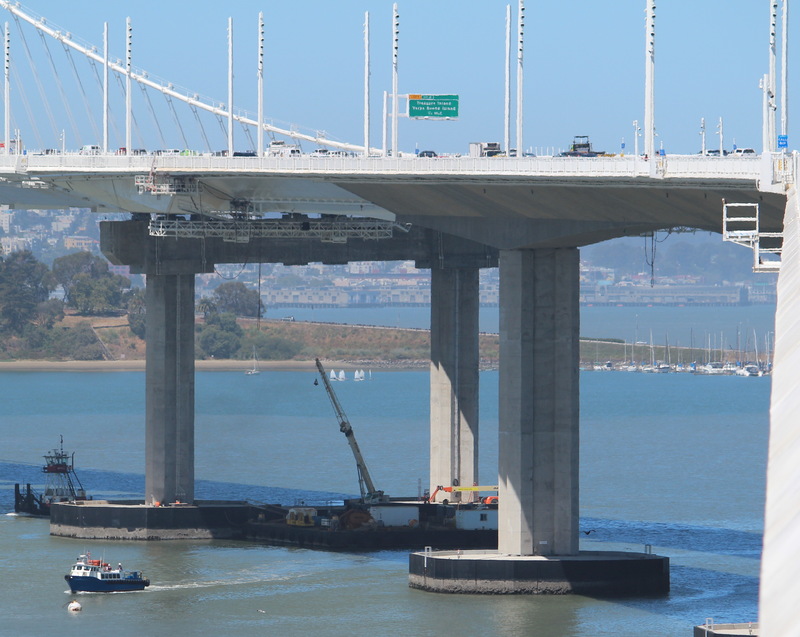 The picture below shows Clipper Cove viewed from the new bike path on the Eastern Span of the Bay Bridge. 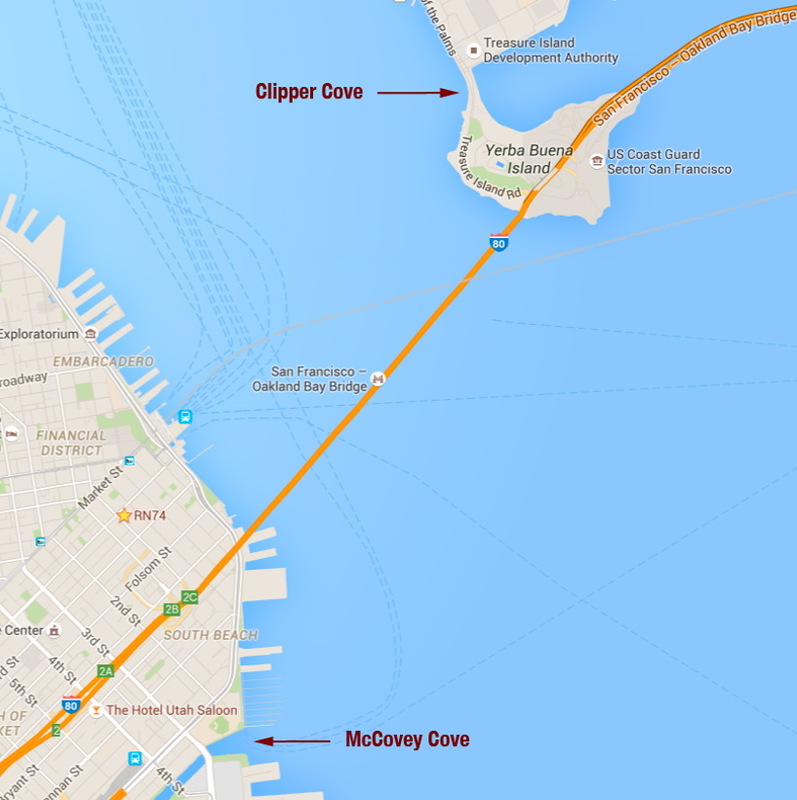 You may have seen McCovey Cove from the water or during a Giants game. 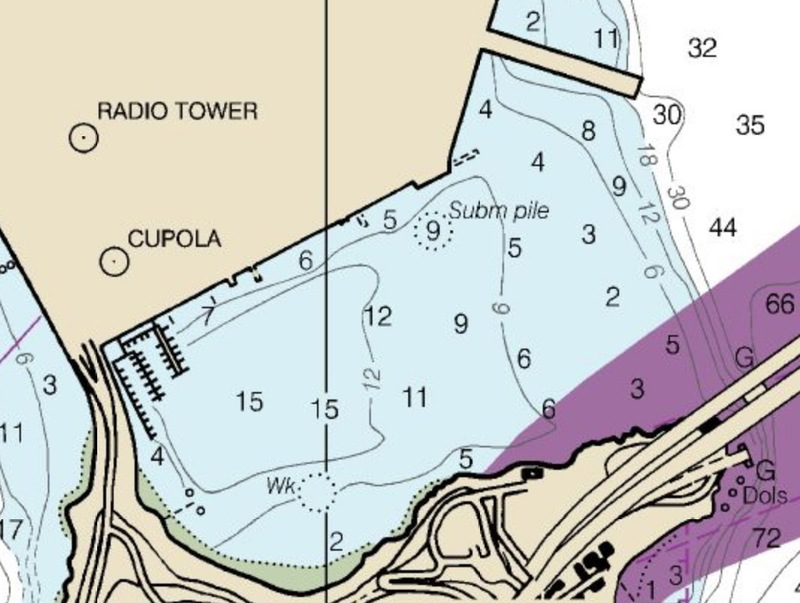 For reference that cove is slightly larger than the existing marina in Clipper Cove (in upper right corner above). Also visible in the photo below – the slightly brownish tide-line that marks the deeper, higher current water outside of Clipper Cove. TISC SSL Fall 2017- 5,500 Smiles and Counting ! 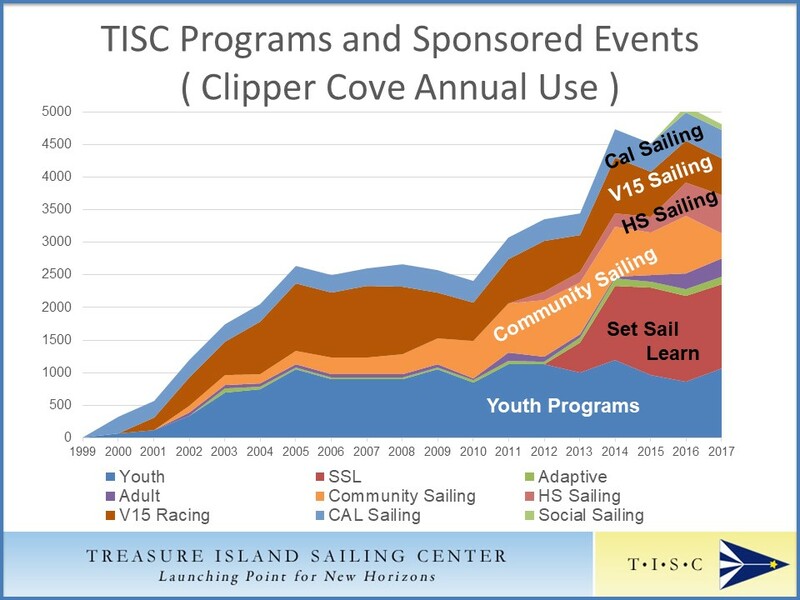 Clipper Cove users include TISC Youth Programs, Set Sail Learn attendees, and a broad range of other community uses for recreation sailing, kayaking and racing.